MPD Kitchen''s Executive Chef, Chris Bonello showcased Tyee raised in fresh water and finished in Saltwater, giving the fish a unique flavour profile at the Ora King Tyee Salmon event in Berwick on Friday. 190052_08. 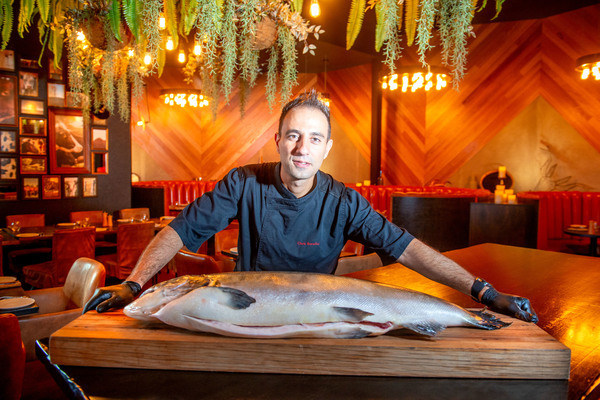 MPD Steak Kitchen in Berwick hosted an Ōra King Salmon dinner to showcase a rare fish that’s been dubbed the ‘wagyu of the ocean’ on Friday, 8 February. 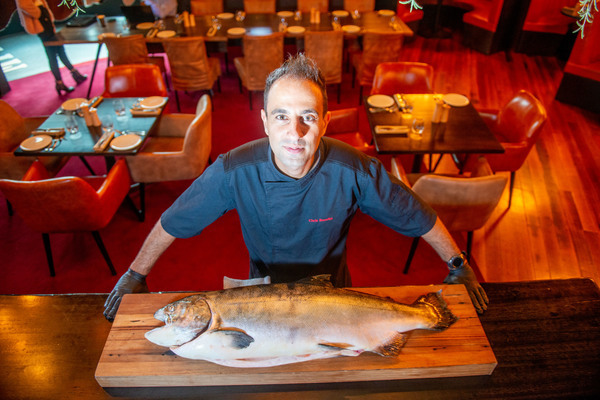 Ōra King Salmon harvested its first ever Ocean-raised tyee salmon, weighing more than a whopping 13.6kg because, for reasons unknown, it continues to grow past the normal life-cycle. 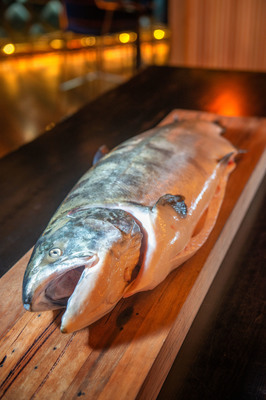 Every inch of this rare beast was used in a stunning four-course dinner, served and prepared by MPD Kitchen’s Executive Chef, Chris Bonello (ex Vue Group), in the middle of the dining room for all the guests to see. As the ambassador of Ora King Victoria, Mr Bonello and his team were given the opportunity to showcase the tyee for its immense size, marbling and unique flavour profile. Following the crowning of MPD Steak Kitchen as Restaurant of the Year at the 2018 Australian Hotels Association Awards, the Berwick venue continues to deliver modern Australian cuisine worth travelling for. Situated adjacent to Zagames Hotel on the corner of Greaves and Clyde Rd, the 200-seat restaurant boasts a steak-focused menu and 250-strong wine list to match. Mr Bonello joined the Zagame Corporation family in 2016. 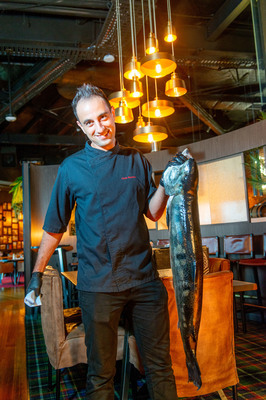 His passion for cooking is nourished by making people smile with food, as well as the electric energy of the industry. “Every day is different and far from boring. There’s always an element of surprise, and I still get butterflies before a busy service,” Mr Bonello said. Previous articleHave you seen Kenneth Richardson?